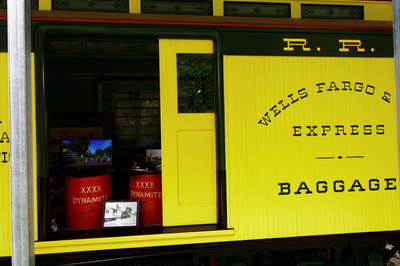 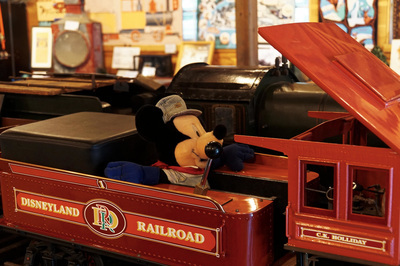 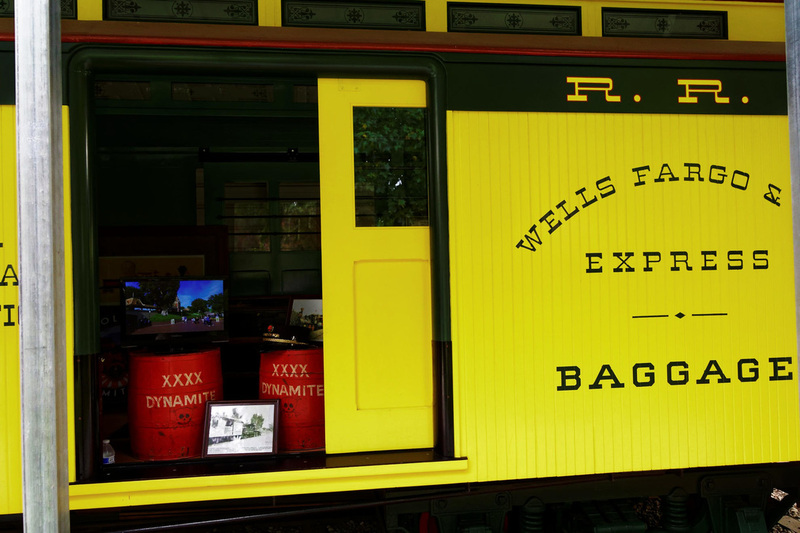 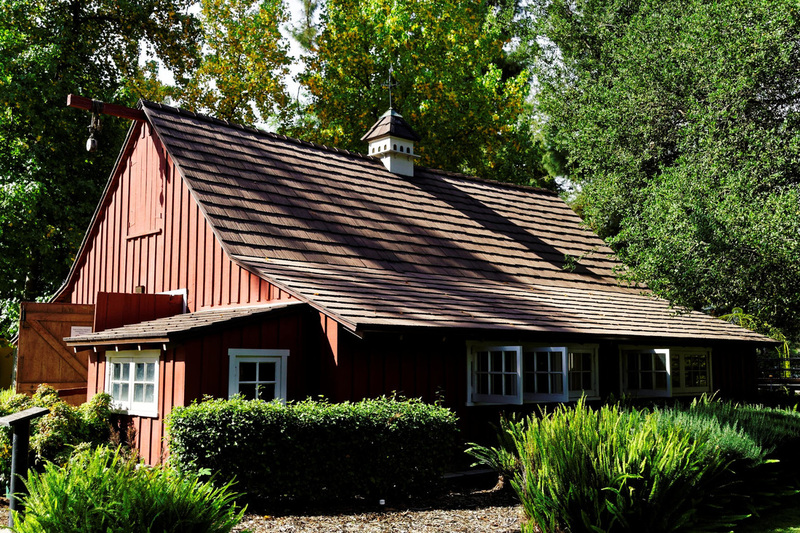 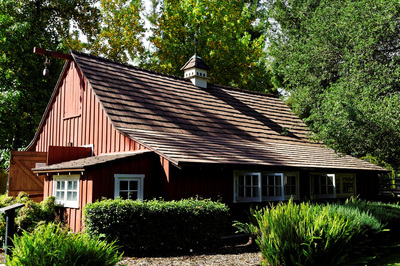 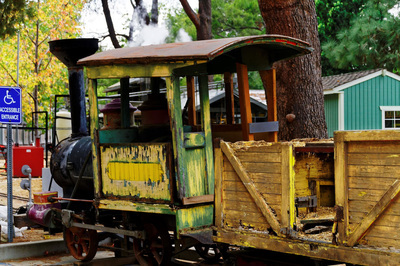 Walt's Barn is operated by the Carolwood Foundation, whose mission is to preserve Walt Disney's railroad legacy. 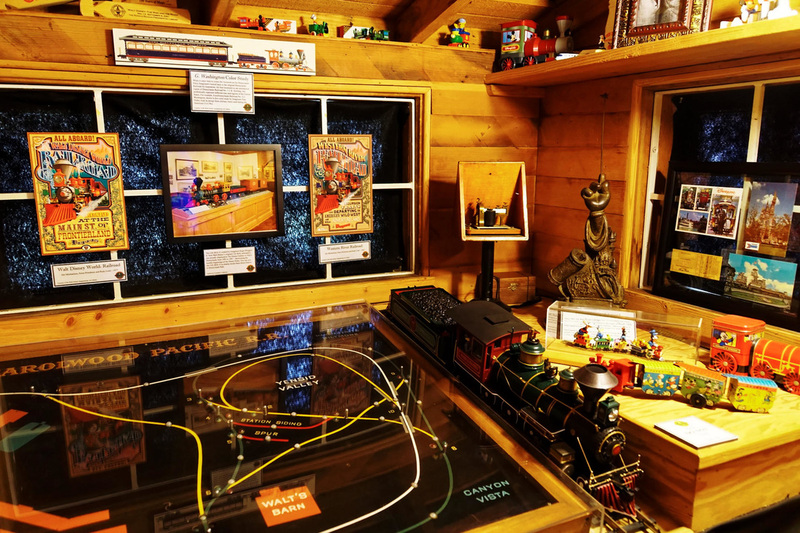 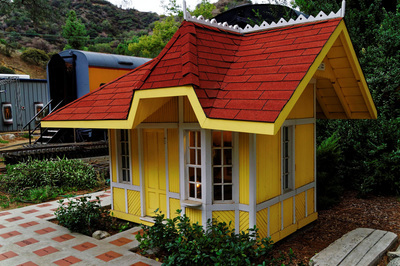 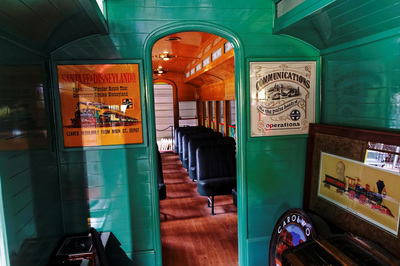 Walt built a 1/8th scale railroad at his home in Holmby Hills, California together with a red barn, which was a replica of one on his childhood farm in Marceline. The new owner of the property was forced to raze the Disney house due to asbestos but Walt's daughter, Diane Disney Miller, convinced him to part with the barn which was subsequently dismantled and moved to its new location. 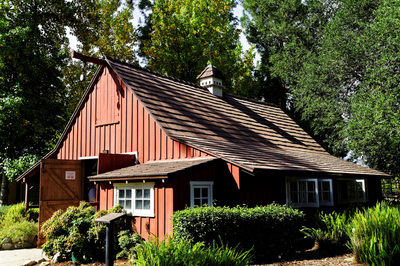 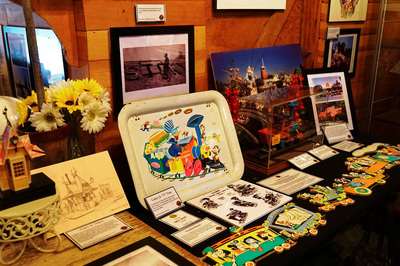 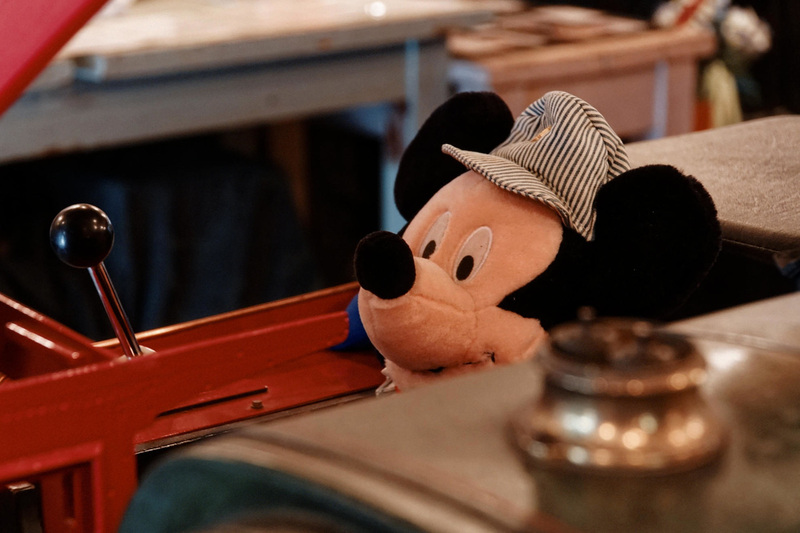 The barn is open to the public on the third Sunday of every month, It features a large collection of Disney memorabilia, many items of which belonged to Walt himself. You can watch a great video by Inside the Magic showcasing the barn and its knowledgeable volunteers here. 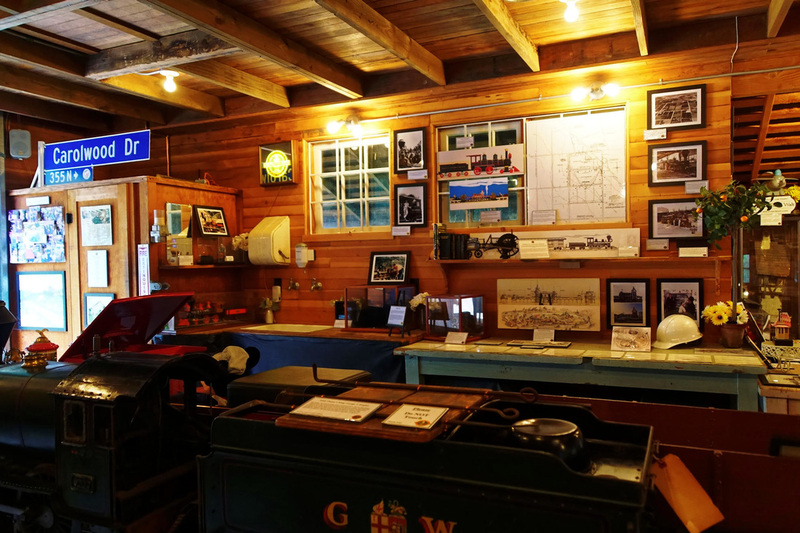 Exhibits include the Retlaw 1 Combine and Ollie Johnston's Station. 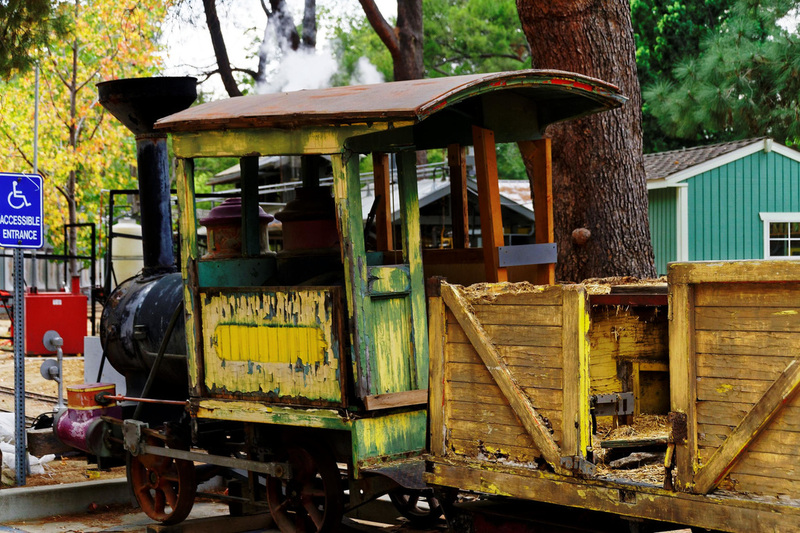 Visit the Carolwood Foundation's website for more information. 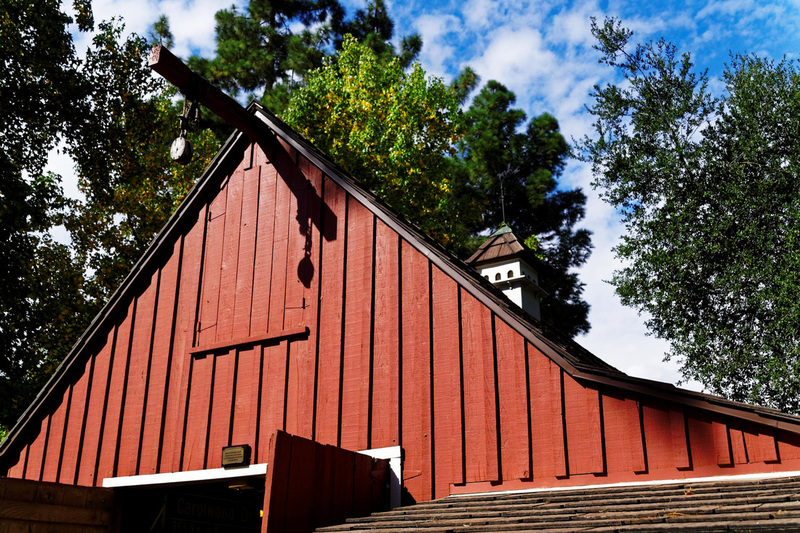 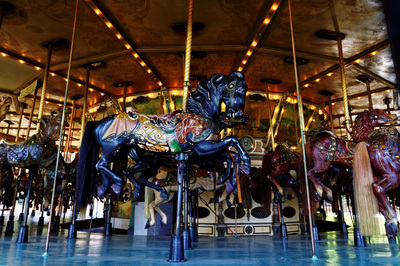 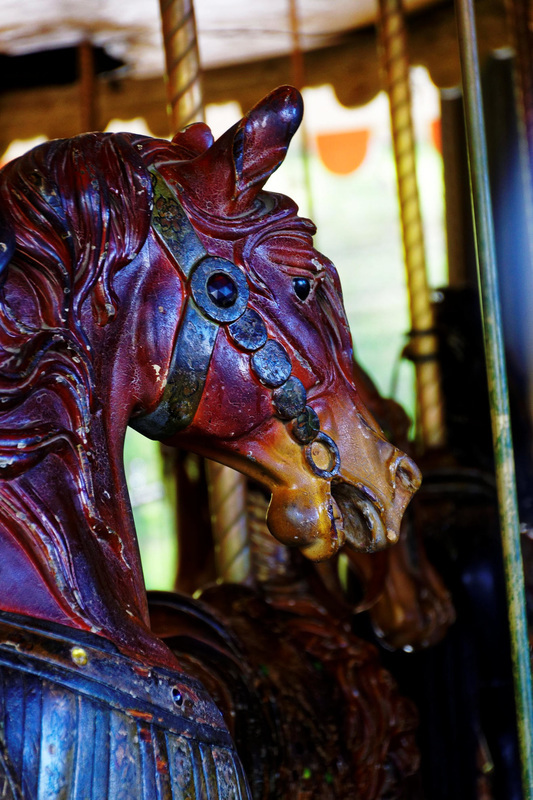 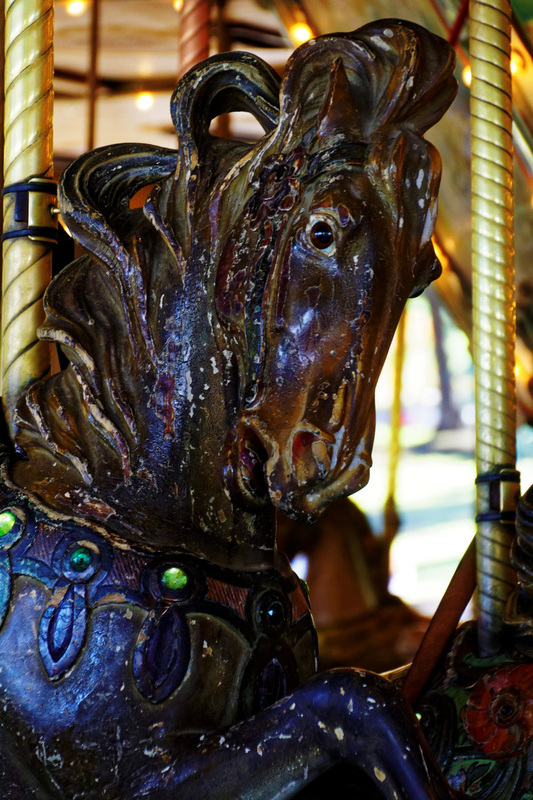 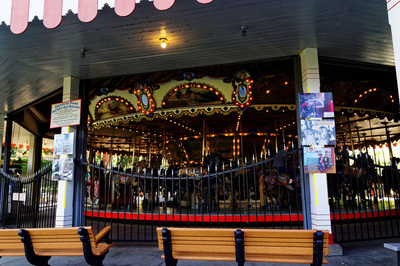 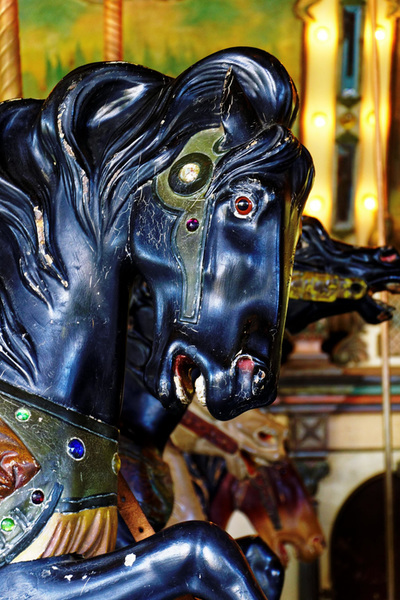 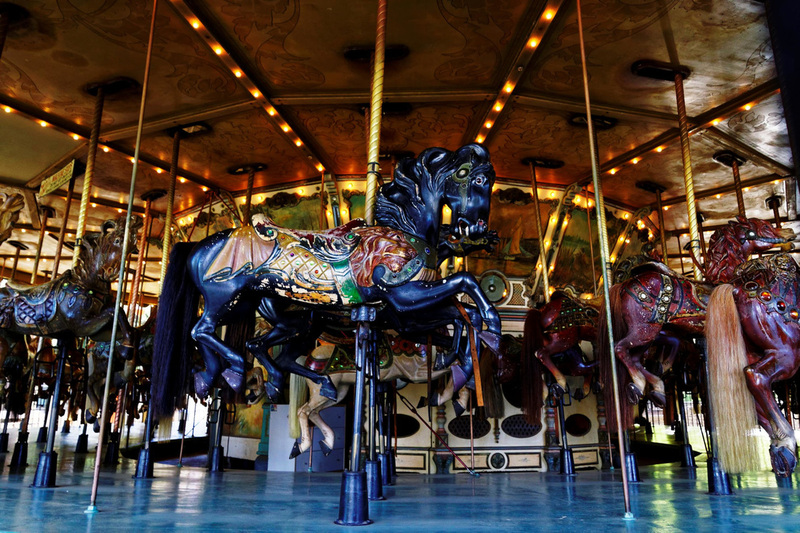 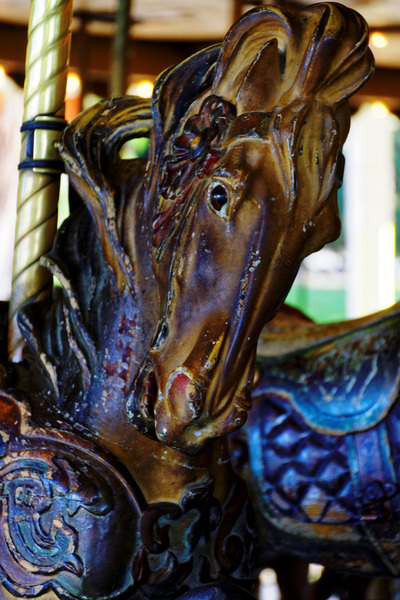 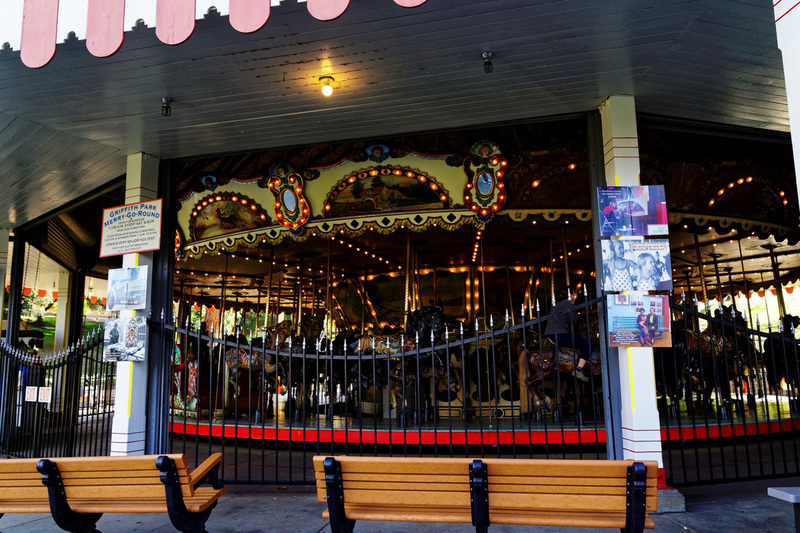 A short distance from Walt's Barn is the Griffith Park Merry-Go-Round, which was built in 1926 and moved to the Park in 1937. 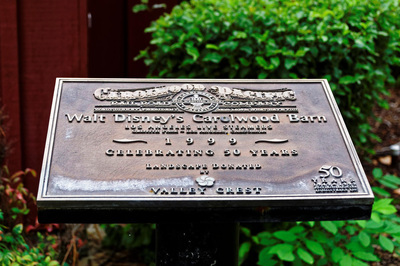 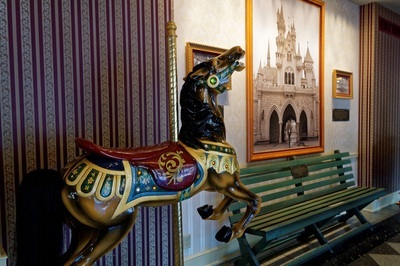 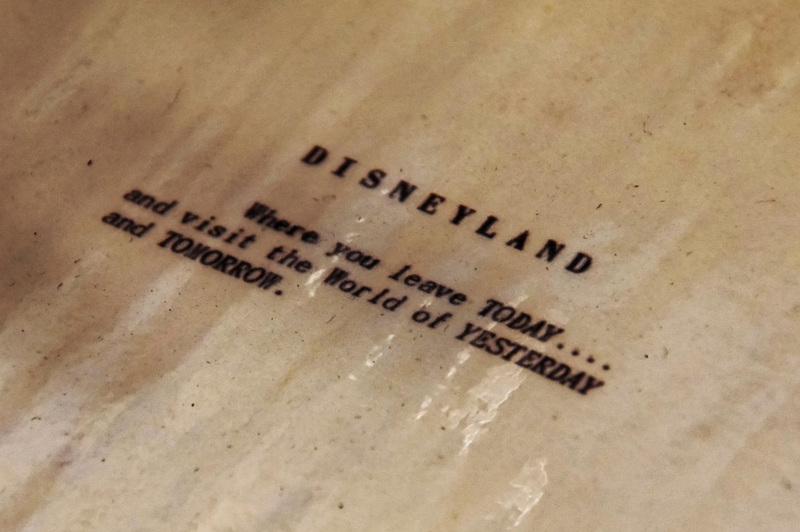 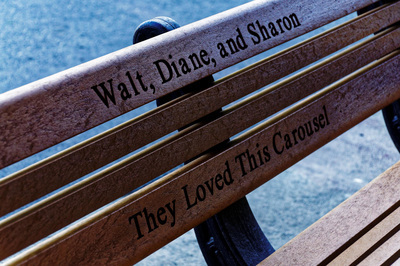 Walt used to take his daughters to the park and he credits these visits for inspiring the idea of Disneyland. 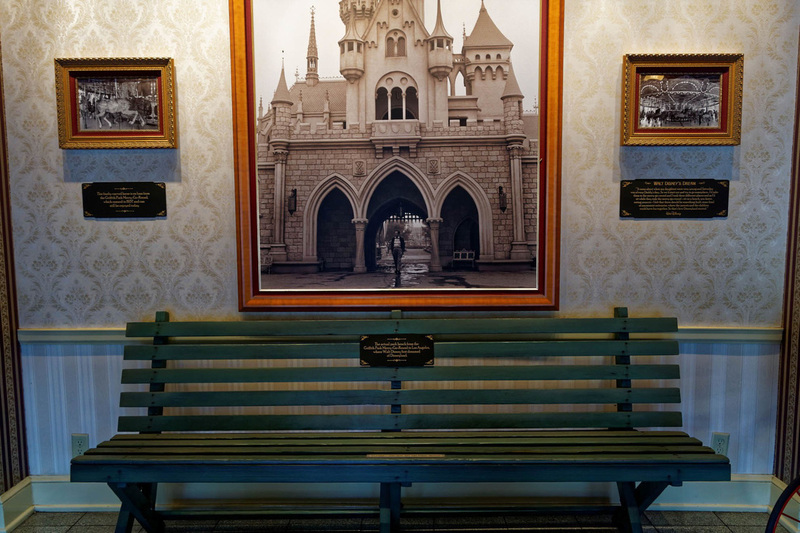 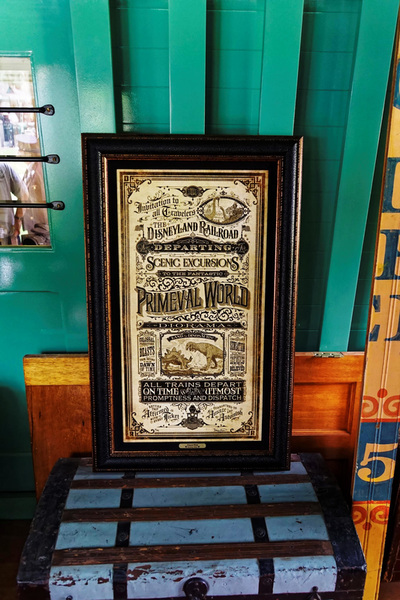 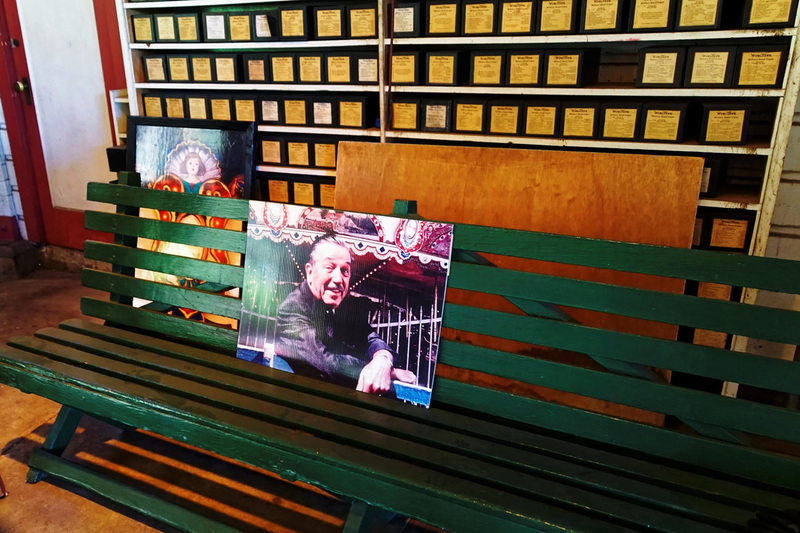 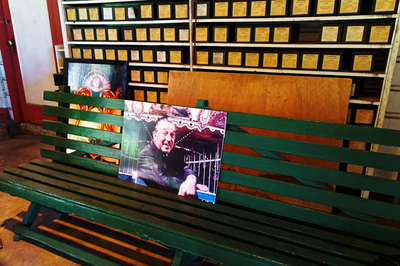 The Opera House on Main Street is currently home to "the actual park bench...where Walt Disney first dreamed of Disneyland". "It came about when my daughters were very young and Saturday was always Daddy's day...I'd take them to the merry-go-round...and as I'd sit while they rode the merry-go-round - sit on a bench, you know, eating peanuts - I felt that there should be something built,..where the parents and the children could have fun together. So that's how Disneyland started,"